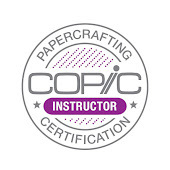 There are a few Papercrafting Certification classes in the next two months, but you won't see March or April classes on the calendar for another couple weeks. 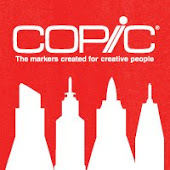 If you have questions about the program you can e-mail Nancy, nancy@copicmarker.com for more info. We still have plenty of space in the Intermediate class, so don't be afraid of applying, as that is bound to be a great class before CHA. These classes are for people who want to take their coloring to the next level. We discuss shading, composition, and coloring more realistically. However, it is important to have mastered basic marker techniques, like blending and feathering. The purpose of the application is to make sure that we don't have to slow down the class for those who have not mastered basic concepts. However, most people who have been coloring for a couple years and taken the Standard Certification should have no problem passing the test. If this sounds like you and you think this is some great stuff to learn, then go ahead and fill out the application! You probably will make it in. Wendy Kadzidlo, the instructor for UK Certification classes will be teaching a couple classes in the upcoming months. If you are attending Winter CHA in Los Angeles, CA then stop by our booth and check out the new releases. I'll be in the booth the whole week, demoing markers, as will many of our instructors. Next week we'll tell you what some of those releases will be, so stay tuned. Also, each of our instructors teaches classes of their own. Go to their blogs to find out more about their classes in your area and how to register for events. Have a Happy New Year! Before I jump into today's tutorial I just wanted to explain something about this blog. I have tons of things archived over the last few years. You can approach this site by starting at the beginning, back in June of 2008 and reading through, or you can search topic by topic. People occasionally ask me how to search through my blog. To search by topic, just type a word in the search bar up at the top of this blog. This will limit your search to only things on my blog. If you are looking for information on a specific product line, then you can search using the glossary in the left sidebar. I hope this helps you find some hidden tutorials that you may have forgotten. I made my own Christmas cards this year, and since I had to make so many, I kept the design VERY simple. 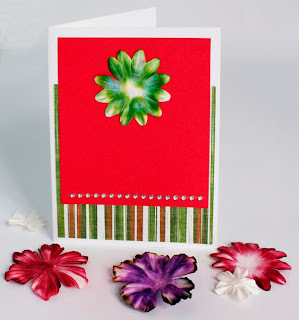 It takes too long to color a cute little image on that many cards, so instead I used some hand-dyed paper flowers. You can use this same effect on wide ribbon to make it look tea-dyed as well. These flowers are very easy to make with Copic markers, and look really cool when you are done. Before you start, be sure to have plenty of clean scratch paper under your work, as this gets messy. 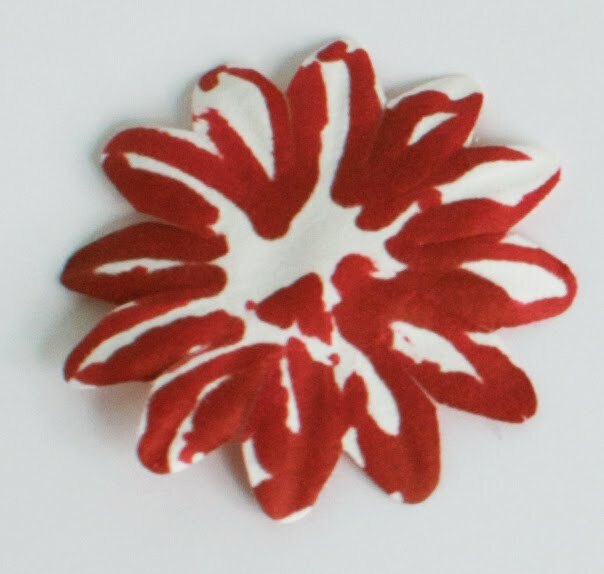 First, take your paper flower and scribble on it with a middle/dark color. For this flower, I used R59. The final color will be both lighter and darker than this color, so test a few colors to find the one that will end up matching your project the best. Next, you need to add a lot of colorless blender. I like using an empty water-brush that has been filled with colorless blender. If you don't have a water-brush, then you can accomplish the same thing by dipping your colorless blender straight into the big refill bottle, then dripping the blender on. This will make the flower very wet and make the inks flow around similarly to if you were actually dying the flower. Wherever you drip the blender, the color on the flower will start to bleed away from that area. If you drip in the middle first then the color will run out to the petals more. If you drip a small drop onto each petal then it will push the color out to the edges of each petal. The second flower was soaked evenly all over, see how the colors muted more and ran together more? If you like this look then go for it. Once you get the look you want, let the flower dry completely before touching it. If you have a drop of ink on your finger and touch the wet flower, then it will pick up that color. 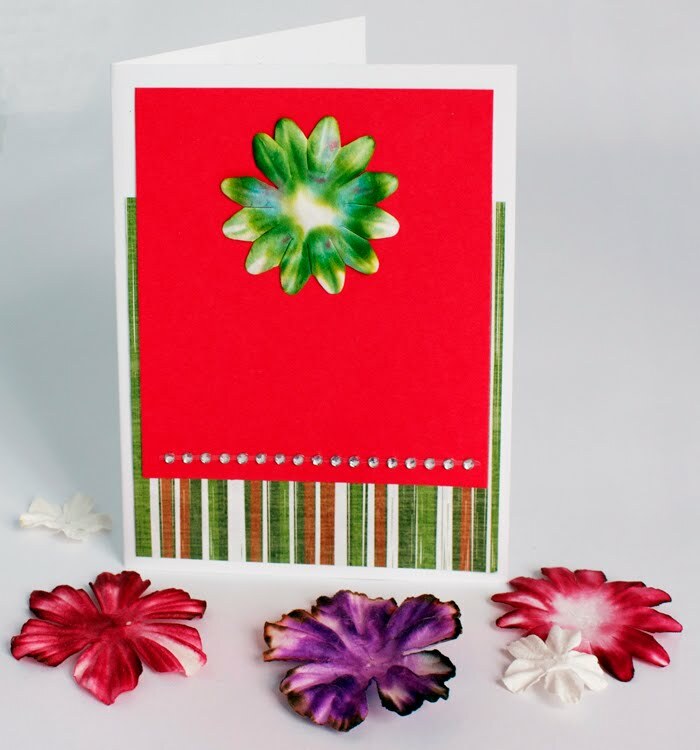 If there is color on the scratch paper under the flower it could pick up that ink as well. Here are some variations on the effect. The small pink/purple flower has a nice 2 tone feel, with purple added to the edges only, pink in the middle, then blended from the middle out. The little brown flower was the same, just with one color. The larger flower was scribbled more randomly so the white spots are more irregular. Here is one of my finished, simple Christmas cards. I hope this has given you some ideas. Tomorrow I'll post about upcoming Certification classes. Next week we have some exciting announcements for 2011, so stay tuned! 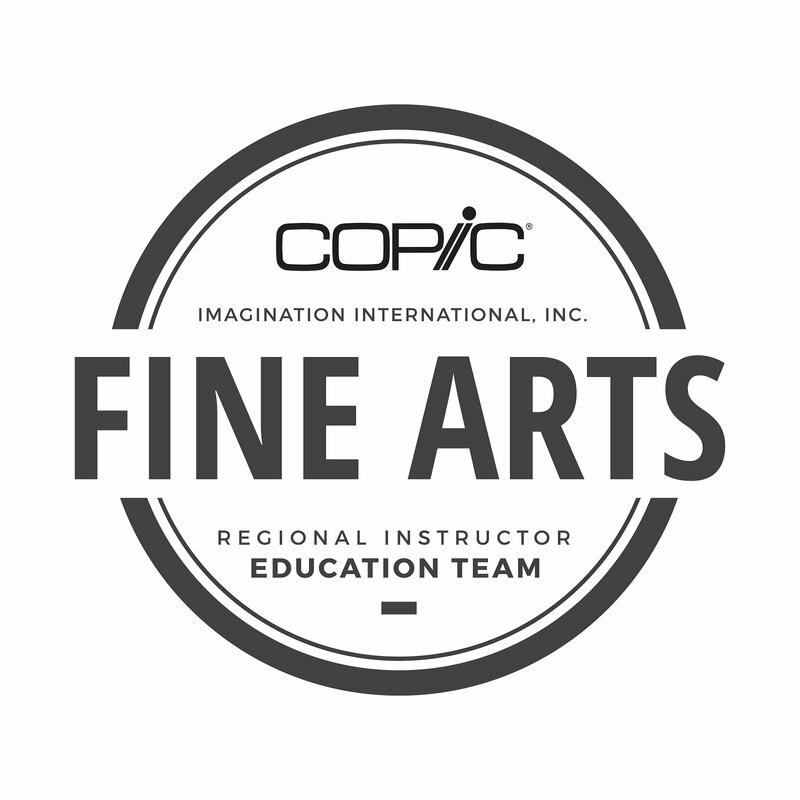 I wanted to share something that was recently shared with me by Ken O'Connell, the president of Imagination International, Inc. (Copic USA) and one of my former art professors. The first mistake most people make in shading light and dark areas of an image is to think the light areas are white or whiter and the dark areas are black or blacker. This is rarely the case. Both Light and Shadows have color. Look closely. It is easier to see it in the light as it allows us to see the color better than dark shadows, but if you lighten the shadows you can see it clearly. Basically Sunlight is yellowish and shadows are bluish. Why? Because the sun lightens ares that it shines on and the blue sky illuminates the shaded areas that block the sun. Sometimes the surface for a shadow has color and that combines with the shadow color to mix another color. Grass in the sun will be yellow green and grass in the shade will be blue green. The deeper the shade the deeper the blue color. So light sources are often warm and shaded areas often cool but, the opposite is also true. 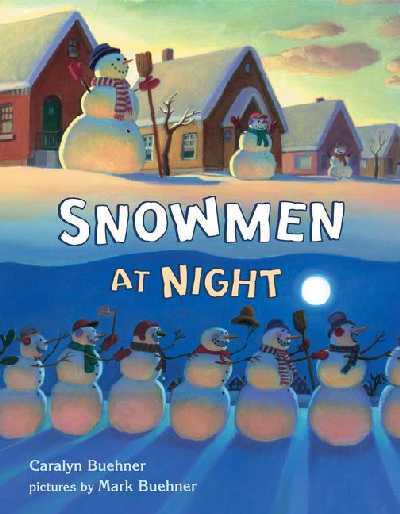 In snow at night the moon light is quite blue and often the shadows are warm, especially if there are street lights to lighten up the shadows. We will try to post more of Ken's discussion on light and shadow on the official Copic website blog sometime in the future. 2010 is winding to a close, and I want to thank everyone who attended a certification this year. We had a total of 52 classes in North America! Wow! Which means, that we are gearing up for a busy 2011, with more Intermediate classes and we are trying to hold Certifications in cities that have not had classes yet. Keep looking for more classes opening in the next month in your area. Remember, if you want to take the Intermediate class you need to take the standard certification first. Click here for applications and class details (time/location/fees) for each session. I will be teaching workshops this Saturday, Dec. 4th at Art Supply Warehouse in Westminster, CA. For teenagers, I will be offering a How to Draw Manga class, then for anyone who wants to attend I will be teaching a coloring class. Both classes require preregistration through the store, as space is limited. As this class is being held at an art store I will be focusing the discussion on art papers and inking supplies, though papercrafters are welcome to attend. 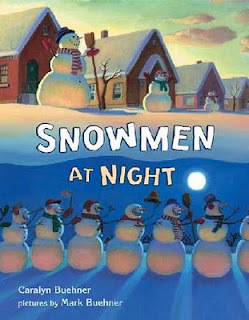 Friday afternoon, Dec. 3rd, I may also be doing in-store demos, if time permits.